The Prize will reward originality and excellence in concept, design and process and will seek to recognise a craft practitioner or designer-maker who is an outstanding artist and who has significantly contributed to craft practice in the last five years. Clay artist Phoebe Cummings has been named as the winner of the inaugural £10,000 Woman's Hour Craft Prize. She was awarded the prize by a judging panel made up of Rosy Greenlees, Executive Director of the Crafts Council; Tristram Hunt, Director of the V&A; Martha Kearney, BBC journalist and broadcaster; Susie Lau, fashion writer and style influencer; and Jacky Klein, art historian. Phoebe’s work is truly original. 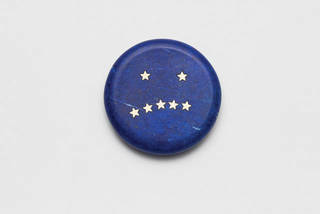 It encompasses performance art and studio ceramics and defies easy categorisation. Working exclusively with raw clay to create site-specific pieces that change subtly day-to-day, her staggeringly beautiful work asks us to celebrate rather than mourn the passing of time. She challenges ideas of what craft is with work that is almost impossible to possess but delights in the physical process of making and shows a highly skilled understanding of the material. And so despite stiff competition from 11 other exceptional makers, she has been awarded the inaugural Woman’s Hour Craft Prize. Twelve finalists were shortlisted, whose work will be exhibited in the Woman's Hour Craft Prize at the V&A, 7 September 2017 – 5 February 2018, before touring to venues around the UK. The finalists are Laura Ellen Bacon, Alison Britton, Neil Brownsword, Lin Cheung, Phoebe Cummings, Caren Hartley, Peter Marigold, Celia Pym, Romilly Saumarez Smith, Andrea Walsh, Emma Woffenden, and Laura Youngson Coll. The display will tour to the Forum, Norwich 12 March – 7 April 2018; Mottisfont, National Trust 23 April – 24 June 2018 and Bristol Museum and Art Gallery 7 July – 2 September 2018. 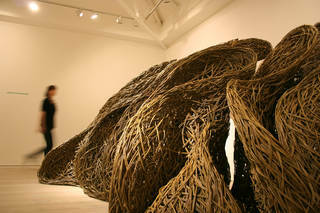 Laura Ellen Bacon works with willow and other natural materials to create striking monumental sculptures, using techniques traditionally associated with basketry. Responding to a particular site, she uses only her hands to weave and knot the willow into colossal, stirring forms that wrap themselves around buildings or spill out into the landscape. Blurring the lines between the natural and man-made, Bacon imbues her sculptures with an abstract life force of their own. Her work has been widely exhibited, with site-specific installations created for venues such as Somerset House, Ruthin Craft Centre, the Saatchi Gallery and the Holburne Museum. Listen to an interview with Laura Ellen Bacon. Spatial Place, Laura Ellen Bacon, 2013, England. Image by Laura Ellen Bacon. Alison Britton first rose to prominence in the 1970s as part of a group of women potters whose work challenged established traditions. The pot has consistently been her focus, to which she continues to bring new ideas about form and painted surface, exploring function, history, containment and ornamentation. 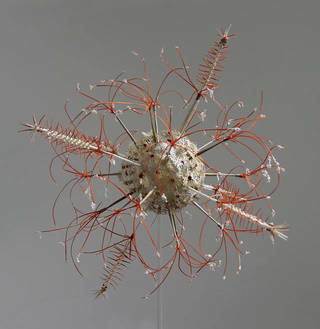 Reflecting the ambiguity of art and craft, her work bridges the sculptural and the domestic. Britton's sizeable contribution to the field of craft extends to writing, curating and teaching. A collection of her writing on art, craft and design was published in 2013. Listen to an interview with Alison Britton. Ruse, Alison Britton, 2012, England. Image by Philip Sayer. Listen to an interview with Neil Brownsword. Factory, Performative Installation with Rita Floyd, Neil Brownsword, 2017, Korea. Image by Korea Ceramic Foundation. Delayed Reactions – Confused, Lin Cheung, 2017, England. Image by Lin Cheung. 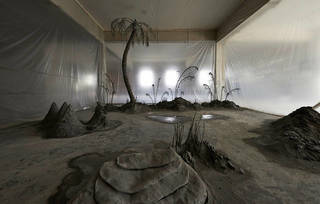 Phoebe Cummings creates temporary sculptures and installations from raw clay. Working largely without a permanent studio, she has developed work through residencies or by using the gallery space as a temporary workshop. 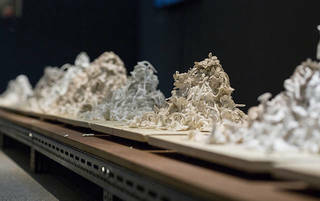 Challenging expectations of how craft may be made and experienced, her site-specific works last only the duration of the exhibition, the clay then being reclaimed and reused where possible. 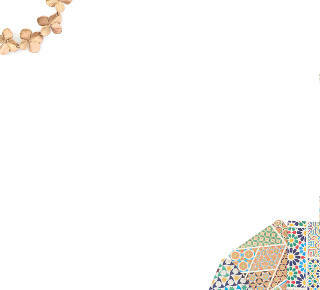 Intricate and detailed, her work responds to the natural world and its interpretation through art and design sources, including porcelain sculpture, botanical illustration, prints, and architectural ornament. 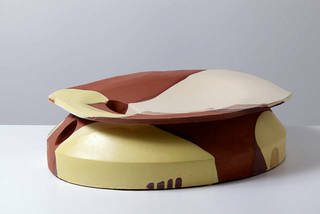 Cummings was the winner of the British Ceramics Biennial Award in 2011. After the Death of the Bear, Phoebe Cummings, 2013, England. Image by Sylvain Deleu. 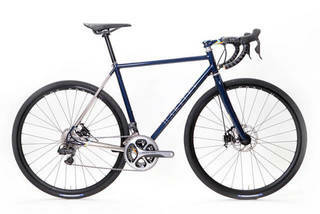 Caren Hartley is the founder of Hartley Cycles, an award-winning bespoke bicycle company. Each bicycle frame is hand-made using a variety of jewellery and metalwork techniques, reflecting Hartley's background as a trained jeweller and silversmith. She uses her multidisciplinary metalwork skills to produce high-performing bicycles tailored to each rider, often incorporating precious metals and exploring the surface finish of the frames through paint, patination and gilding. In 2015 Hartley was commissioned by the Design Museum to produce a bicycle for the exhibition Cycle Revolution, and has since gone on to receive international acclaim for her bicycles, transforming an industrial process into an applied art. Design Museum 953 Gravel Road, Caren Hartley, 2015, England. Image by Sebastien Klein. Peter Marigold's practice as a furniture designer is informed by his varied background in sculpture, theatrical set building and product design. Unbound by tradition, Marigold experiments with materials and form to create considered yet playful objects, ranging from stools made with felted wool to galvanized steel shelving. He works in a broad way, operating his studio as a small-scale manufactory, as well as working with larger producers, galleries and retailers. 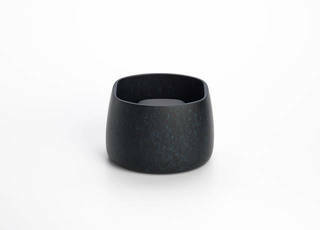 His practice embraces both the hand-made and mass-produced object, and explores how their design processes intersect. In 2009 Marigold was awarded a 'Designer of the Future' award by Design Miami, and has since gone onto exhibit his work internationally. Listen to an interview with Peter Marigold. 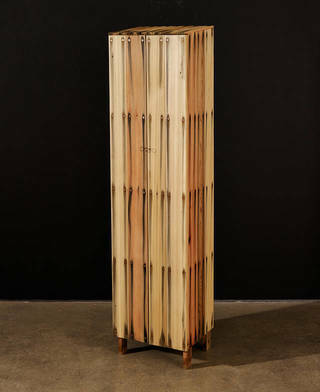 Tall Bleed Cabinet, Peter Marigold, 2014, England. Image courtesy of Sarah Myerscough. 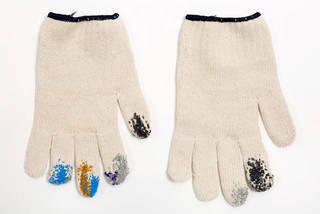 Celia Pym uses darning, knitting and embroidery to create intimate works that speak directly to human experience. Over the past ten years Pym has carefully darned other people's clothing, interrogating our feelings towards vulnerability, care and repair. Pym's ability to draw out memories and meaning through the process of mending often belies the understated, yet intensely personal finished object, be it a sock, jumper or tracksuit. She has exhibited widely in the UK and beyond, and has worked on a number of publically engaged projects which aim to bring the value of mending to a wider audience. Darned Fingertips, Celia Pym, 2016, England. Image by Michele Panzeri. Romilly Saumarez Smith's career in making has spanned more than 40 years, first becoming an accomplished bookbinder before turning her attention to jewellery. She is fascinated by the stories contained in found objects, imagining the past lives of a Roman pin or medieval thimble before transforming them into beguiling works of art. Precious metals and other materials are sensitively worked and added to the finds, breathing new life into long-forgotten objects. Saumarez Smith is unable to use her own hands, so works alongside jewellers Lucie Gledhill, Laura Ngyou and Anna Wales to translate her pieces. Her jewellery has been the subject of exhibitions at the Yale Centre for British Art, Sainsbury Centre for the Visual Arts and Ruthin Craft Centre. 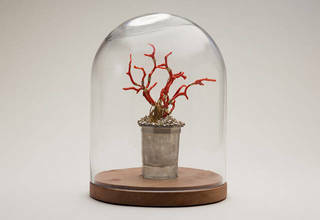 Tudor Glass Coral Reef, Romilly Saumarez Smith, 2016, England. Image by Lucinda Douglas Menzies. Andrea Walsh creates exquisitely-crafted box and vessel forms that explore ideas of containment, materiality, preciousness and value. Working with glass in combination with bone china, she celebrates their shared material qualities of purity and translucency. Intimate in scale, and sometimes incorporating precious metal, her work evokes a response akin to jewellery, eliciting the desire to hold and cherish. Walsh has been shortlisted for the British Ceramics Biennial Award on three occasions, and was awarded The Craft Scotland Prize 2016. Listen to an interview with Andrea Walsh. Contained Box, Andrea Walsh, 2016, England. Image by Shannon Tofts. 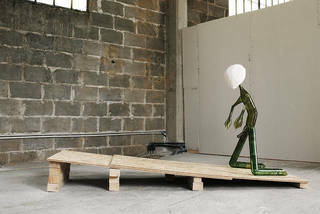 Emma Woffenden's experimental, often collaborative, practice utilises many glass techniques, including blowing and casting. The resulting glass elements are constructed and combined with other materials and found objects to create sculptures and installations based around the human figure. Uncanny and at times unsettling, her works reflect observed human behaviour, with traits of humour, aggression and the absurd. A significant figure within the glass community, Woffenden until recently held the post of Artistic Director for North Lands Creative Glass in Scotland. Listen to an interview with Emma Woffenden. Blood on my Hands, Emma Woffenden, 2009, England. Image by A. Moore. Laura Youngson Coll works primarily in vellum, manipulating the material to create arresting examinations of the natural world. Her intricately formed artworks lie somewhere between fiction and fact, as she seeks to articulate the often overlooked details of our environment. After years of training in leatherwork she has developed a high level of technical and material knowledge, mastering traditional skills that now give life to her enigmatic sculptures. In 2014 Youngson Coll was awarded the Perrier-Jouët Arts Salon Prize, and has been selected for the Jerwood Makers Open 2017. Haeckel II, Laura Youngson Coll, 2015, England. Image by Laura Youngson Coll.